"Our clients have always had toll-free client support from our New Jersey office. Now we are offering you the valuable resource of a Russian lady's point of view concerning many things relationship." My name is Carl. I am living in Australia, Adelaide. I have got your agency’s name from Jim’s list as a trusted agency. I have a query about your agency’s service. Would your agency provide additional email forwarding service in any way for a male client member of your agency (or not a member) if the lady chosen by this member is not registered with your agency, and she has no email address? She has only a postal address and telephone numbe, but she is livingelsewhere (not in Togliatti) in Russia or Ukraine. What I exactly mean is sending an email to your agency in Togliatti and you would either forward my letter to that lady by post, or translate the letter into Russian if required and then mail the letter directly to her. If it is possible, would you be kind enough to email back to me with your service fees? Thank you. Thank you for addressing me with your question. On the link you will find on the right hand side of any page at volgagirl.com you will find one entitled "Out-Of-Network Ladies Registration." There you can enter the name and address information for anyone you wish in order to take advantage of our email and language translation service. The service fees connected with our email service are detailed on the site. 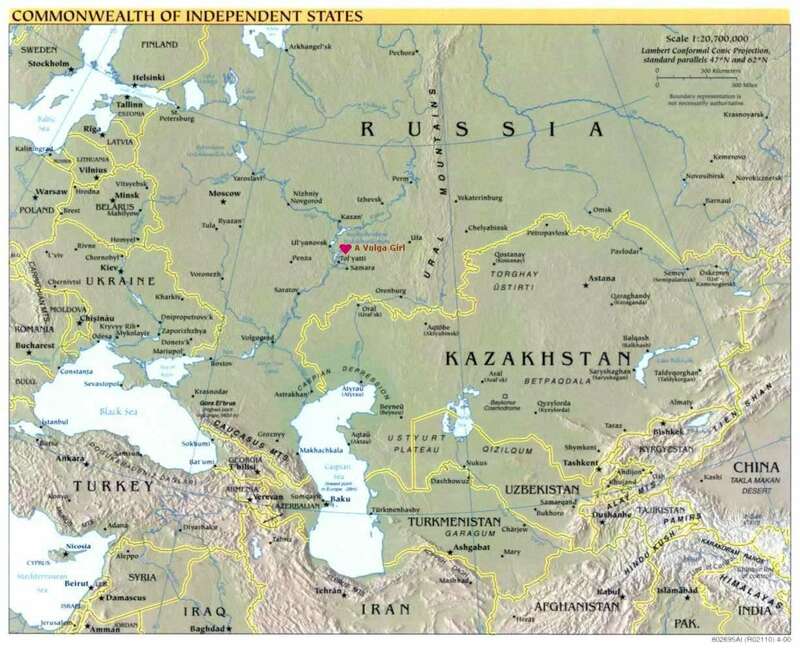 Our office is located in the central Russian city of Togliatti (600 miles southeast of Moscow). We have no problem sending your letters by post to Ukraine. I suggest that when you do send a letter, you enable the "Registered mail" option so your letters can be traced. If in fact a lady does have a private email address, we are more than happy to send your translated letters directly to her in this manner. We appreciate your inquiry and the confidence that you may have in Jim's recommendation. I do hope this has helped.